The Málaga CF Femenino coach sent a message of thanks to the Malaguista fans who went to Madrid: “Despite our position, we have the best fans and we hope to give them what they deserve”. “We lost another possible final. I prefer not to call them finals as we’re losing because of mistakes that are penalising us too much, such as a penalty. Now we need to go for it, there are no more excuses. We must win the remaining three home games and still rely on ourselves. The next match is against Albacete: if we win, we’ll still have options, however if we lose then, obviously, we’d be much closer to what we don’t want to hear. Therefore, only a win will do”. “We thank our supporters, they’re incredible considering the position we’re in. We have the best fans, they’re always there for us, so we hope to give them what they deserve”. The Málaga CF Femenino coach talks about the victory against Fundación Albacete (4-2): “After so many months, we needed a win. We’re still alive in the First Division with girls from Málaga”. 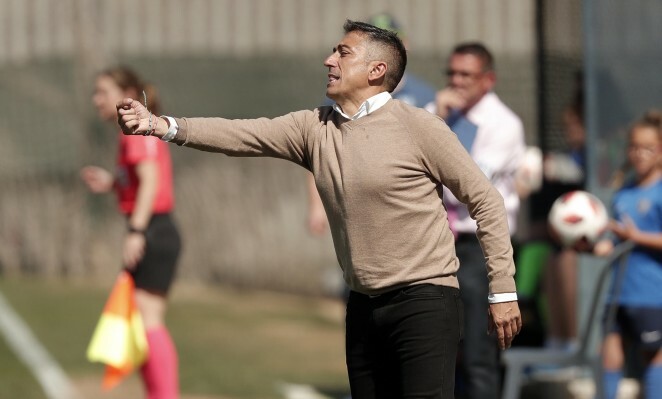 The Malaguista coach talks about the key to achieving the objective following the match against Levante Femenino: “The team that has attitude, believes and has the strongest dressing room can get out of this”.